Civil engineers design buildings, roads, dams, bridges, tunnels, airports, and sewer and water supply systems. When responsible for a project, civil engineers must consider costs, environmental hazards, government regulations, ability to withstand natural disasters, and durability of the infrastructure. Civil engineering can be divided in the following categories: water resource, construction, structural, environmental, geotechnical, and transportation engineering. Many engineers serve in administrative or supervisory roles, an example being a supervisor of a construction site. These engineers can also work in teaching, construction, and research. The projects that civil engineers work on are broad in scope and quite complex. As a result, they typically specialize in one particular area. Geotechnical engineers make sure that structures have secure foundations. Their work deals with the earth, and the way that structures (like tunnels and buildings) interact with it. They also design retaining walls, slopes, and tunnels. Structural engineers ensure that major projects, like dams or bridges, are sufficiently strong and durable. Transportation engineers work with the systems of everyday transportation, like roads and highways. They plan and design these systems as well as larger projects, like harbors, ports and airports. Civil engineers hold over 262,000 jobs. They spend most of their time working in offices, but they may occasionally need to visit outdoor construction sites to oversee the building process or solve any issues that may arise. Civil engineers may also need to travel to other countries to work on engineering projects abroad. Civil engineers work 40 hours a week. They typically work on a project-to-project basis, and may therefore need to work extra hours to ensure that the projects meet their deadlines. A bachelor’s degree in civil engineering is required to become a civil engineer. A bachelor’s degree in one of the civil engineering specialties is also acceptable. These degree programs should be evaluated and accredited by ABET (the Accreditation Board for Engineering and Technology). Completion of a ABET-accredited program is a prerequisite for becoming professionally licensed. After becoming licensed, an engineer is known as a professional engineer (PE). Students of civil engineering programs study engineering systems and mechanics, statistics, mathematics, fluid dynamics, and more. The programs typically last for 4 years, and include both classroom study and practical work in the laboratory and the field. Roughly 20% of civil engineers have master's degrees. Engineers who want to become a manager should pursue graduate studies. Civil engineering managers need a license as well as professional experience. Civil engineering jobs are regulated at the state level. In order to market their services to the public, licensure in all 50 states (as well as the District of Columbia) is required. 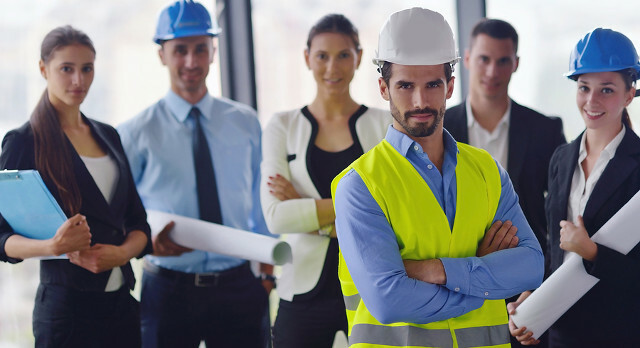 Licensure is also mandatory in order to control and direct projects, as well as to manage other civil engineers, civil engineering technicians, and civil engineering technologists. Engineers must have completed an ABET-accredited program in engineering before being eligible for licensure. Several exams are given throughout the licensing process. The first is the Fundamentals of Engineering Examination. Engineers who pass this exam and fulfill their state's requirements are known as Civil Engineering (CE) Interns, or Engineers-in-Training. After passing the exam, engineers must gain a certain amount of practical experience, pass other exams, and fulfill other criteria as defined by their particular state. Upon fulfilling these requirements, the engineer is qualified as a CE Professional. The median salary of a civil engineer is more than $77,000 a year. The median salary is the salary at which 50% of the workers earned more and 50% earned less. The lowest 10% of engineers earn less than $51,000 a year, and the highest 10% earn more than $119,000 a year. The vast majority of civil engineers work 40 hours a week. However, they may occasionally need to work overtime in order to meet a project's deadline. It's estimated that job prospects for civil engineers will grow by 19% in the next decade. This rate of growth is about average. Our infrastructure is continually growing older, and structures such as roads, dams, levees, and bridges will need to be repaired, rebuilt, or upgraded. This will require the expertise of civil engineers. Population growth is also a key factor. Accommodating the growing numbers of people will mean upgrading and repairing our water systems and waste treatment facilities. Civil engineers will be needed to accomplish these tasks. The growth in job prospects for civil engineers will be tempered by budgeting challenges, both on the state level and from private investors. Despite this, the repairs and upgrades to our infrastructure are necessary, and will demand the services of more civil engineers.